Manchester United travel to Sevilla on Wednesday night as manager Jose Mourinho looks to continue his quest for a third Champions League title. United, the defending Europa League champions, are back in the last-16 of the Champions League for the first time since 2014. 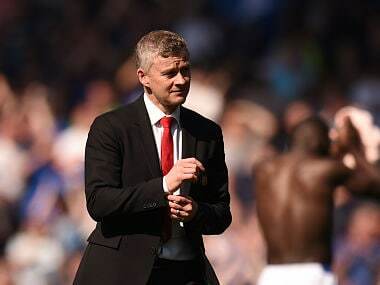 United sit 16 points behind leaders Manchester City in the Premier League, and even if they finish at second — a stark improvement to last season’s sixth-place finish — it would be not be enough to please the club’s management and fans. The failure to challenge City for the Premier League title combined with Manchester United’s exit at the quarter-final stage from the League Cup, the Champions League and FA Cup represent the only chances for the Red Devils to secure a trophy this season. Despite winning the Europa League and League cup in his previous season, Mourinho has still not yet been able to live up to the standards that were expected from him when he took over the reins at Old Trafford from Louis van Gaal. 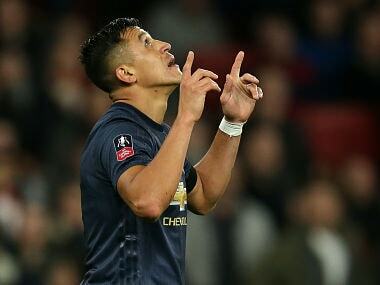 Mourinho has been outdone by his rival Pep Guardiola over the last six months and even Alexis Sanchez’ high-profile signing in January hasn’t improved the teams’ fortunes by much. They have been inconsistent in recent weeks, with two losses in their last four matches in all competitions. The biggest issue for Mourinho to tackle is that he still seems unsure of his best attacking options and how to play them. Mourinho’s decision to deploy Sanchez on the left has upstaged the balance in the team as Anthony Martial ends up being slotted on the right, a position he has struggled to flourish at. United could be more fluid while going forward if Sanchez played as a No 10 but that causes problems for Paul Pogba, United’s most expensive signing at £89 million. Pogba is most effective in a midfield three, and the ideal solution would be to switch Sanchez to the right in a 4-3-3 formation. However, the French midfielder’s indifferent form has only added to Mourinho’s selection headaches. 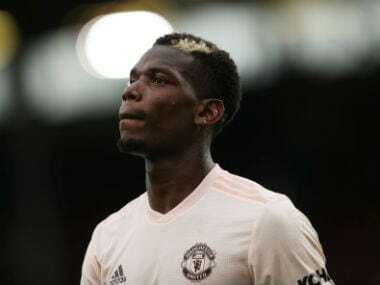 There have also been reports that Pogba has fallen out of favour with Mourinho as he has been unhappy with the role he is currently being asked to play. The Portuguese manager’s meandering press conference replies did little to douse the growing fires of a possible rift. If the reports about Pogba's displeasure are to believed, Mourinho's past record of losing the dressing room at Real Madrid and Chelsea spells danger for Manchester United's future. 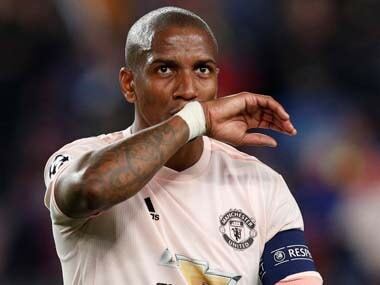 Pogba, who did not feature in United’s 2-0 win over Huddersfield in the FA Cup, has travelled with the team to Seville, and by all indications, should start in the Round of 16 first-leg clash. A team consisting of Romelu Lukaku, Sanchez, Pogba, Martial, Marcus Rashford, Juan Mata and Jesse Lingard should be producing explosive, attacking football but Mourinho has not yet been able to solve United's selection jigsaw. This has been the team's biggest downfall and the main factor behind their inconsistency. Manchester United, though, will be buoyed by the return of Ander Herrera, Rashford and Antonio Valencia but the biggest boost to their side is Eric Bailly’s recovery from injury. The defender returned after three months out with an ankle injury as a late substitute against Huddersfield. If he plays on Wednesday, Sevilla will have an uphill task on their hands trying to breach their opponents’ defences. Los Rojiblancos, as the Andalusian side are nicknamed, have never kept a clean sheet in the Champions League knockout stages and they conceded 12 goals in this season's six group games, the highest tally amongst the 16 clubs left in the competition. Vincenzo Montella was appointed as Sevilla’s coach during Spain's winter break following the controversial sacking of Argentine coach Eduardo Berizzo, who had just undergone surgery for prostate cancer. Montella had been sacked by AC Milan in November, but he has managed to overhaul the Spanish team in his short stint. He has led them to the Copa del Rey final and they currently sit fifth in La Liga, 23 points adrift of table toppers Barcelona. Goalkeeper Sergio Rico has made a timely return to form, and the high line defence of centre-backs Gabriel Mercado and Clement Lenglet; Jesus Navas on the right and Sergio Escudero on the left could stop the spluttering United attack from scoring. Midfielders Pablo Sarabia and Franco Vazquez have been in tremendous form, and along with Joaquin Correa — who lines up on the left of the attack — they have been responsible for setting up and scoring most of Sevilla’s goals. Ever Banega is expected to start as well, and could help Sevilla pose a much greater threat than what might have been expected a few weeks ago. Sevilla have scored five goals in their last three matches, and have scored at least once in their previous nine in all competitions. However, Montella will be well aware of their lack of creativity up front and the sparse chances that they produce in every match. While Mourinho is aiming to become the first manager to win the Champions League trophy with three different clubs, the clash on Wednesday will be only the second time that Montella will coach in the Champions League. He previously oversaw Roma's defeat to Shakhtar Donetsk in the second leg of the last-16 in 2011. The difference in experience in their managerial careers could be of significance in such a high-pressure encounter. For Mourinho, this match kick starts a make-or-break month of crucial fixtures, which could decide how long his tenure at Manchester United lasts. Sandwiched between the two Champions League legs are challenging Premier League ties against Chelsea and Liverpool. The match at Ramon Sanchez Pizjuan Stadium promises an intriguing battle between the last two Europa League champions. United have generally struggled on Spanish soil, winning just two of their previous 23 games. If Mourinho wishes to salvage this season, he will need his team to go against this trend and come back with an away goal, at the very least.